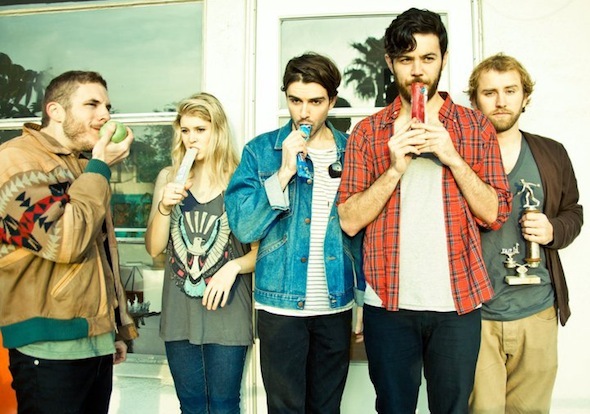 So there's this band I'm rather fond of, the Paper Kites. I first heard of them months ago, and bought their single "Bloom" on iTunes. I've had an interest in them, but never purchased their album until, lo and behold, there it was, in the clearance shelf of my favorite record store. $4? Sign me up! Another $4 purchase I made from the same store is a band that shares a similar sound: Milo Greene. I cannot say enough good things about this band. They are one of my favorites, and I will write stories as their album spins on repeat. If you're looking for chill, acoustical and woodland-inspired music to write to, drive to, or just live life to, I would recommend both of these bands. Milo Greene is my favorite of the two; they write their music with movies in mind, so their songs sound like a soundtrack to the best film you've never seen. The Paper Kites sound like a mix of Milo Greene, Bon Iver and Simon & Garfunkel in the best way possible. Not too bad for $4 purchases, no?